"One more song... one more song... one more song!" It's the chant that has spontaneously erupted at the end of every great concert since the inception of rock music. To the more classically inclined, the concept is known as the encore, where musicians give their best performances after the planned setlist has finished. 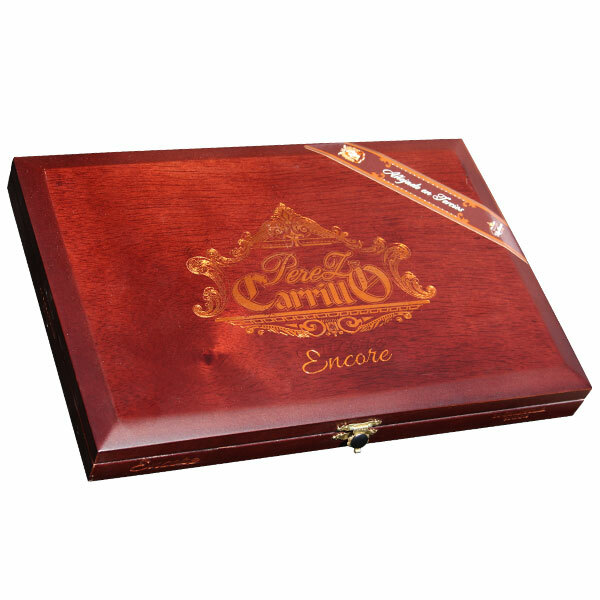 Now, EPC Cigar Co. has taken the same approach with their latest cigar creation: Perez-Carrillo Encore. The cigars follow in the footsteps of master blender Ernesto Perez-Carrillo's La Historia cigar, which was formerly known as the most premium blend in the EPC portfolio. Encore is a proper followup, providing one more treat for cigar fanatics, representing a blend on par with Carrillo's best work to date! The cigars were originally showcased in 2016, but Carrillo decided that the wrapper leaf needed more fermentation. With the added age, Encore has finally reached its full potential. The blend is Nicaraguan puro, using filler ingredients from each of the country's major growing regions (Estelí, Condega, and Jalapa). Encore then showcases an Estelí-based binder and Jalapan wrapper. The final blend is nothing short of significant, offering a medium/full body and rich flavors of hardwoods, cabinet spices, baker's cocoa, floral attributes, cinnamon, and rich nuts. Now the only question is, how many songs does Ernesto have planned for this encore...?